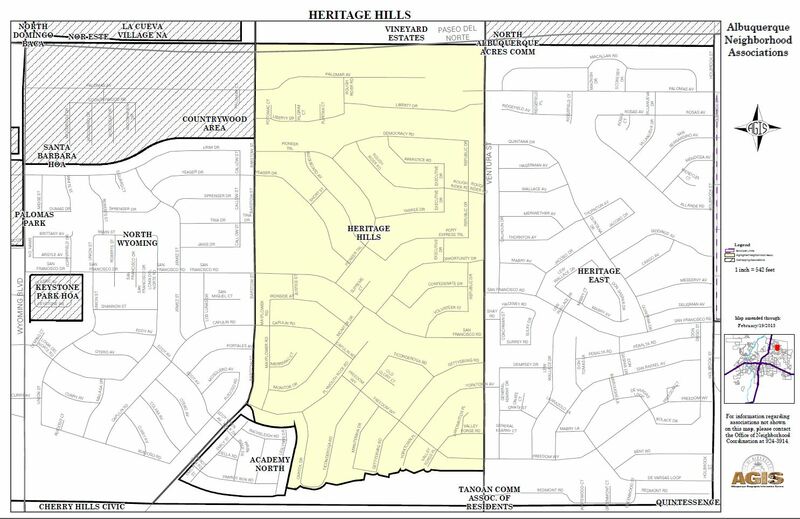 The Heritage Hills Neighborhood Association is located in the Northeast Heights of Albuquerque, New Mexico. Bordered by Paseo Del Norte on the North, Ventura on the East, Heritage Hills Park and Academy North Neighborhood on the South, and Barstow Road on the West. Map image is from the City of Albuquerque website.